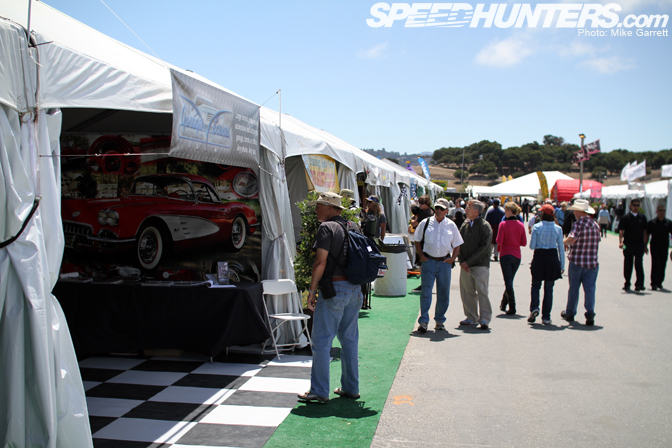 Continuing where I left off yesterday, let's jump into the second part of my journey around the paddock and static display areas at the Rolex Monterey Motorsports Reunion. Up above you can see the tail end of the beautiful Bob Sharp-prepared Datsun 280Z. 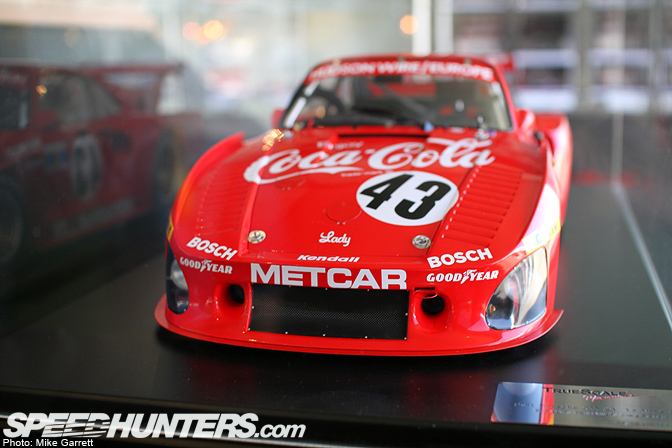 Besides, all the typical cool stuff you'll find on an old Datsun race car, the paint work and lettering on the car is just beautiful. 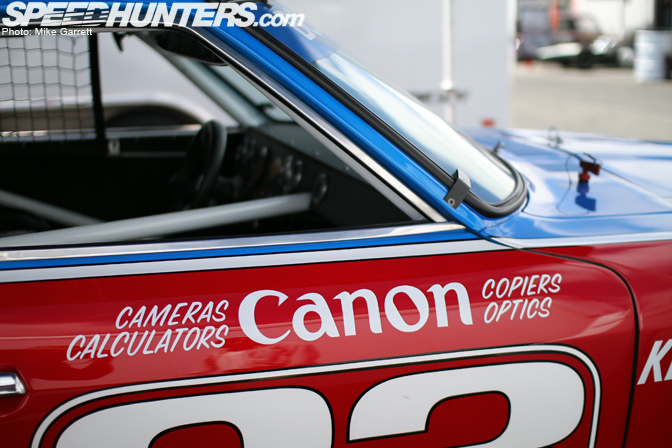 Dig the old school Canon lettering! 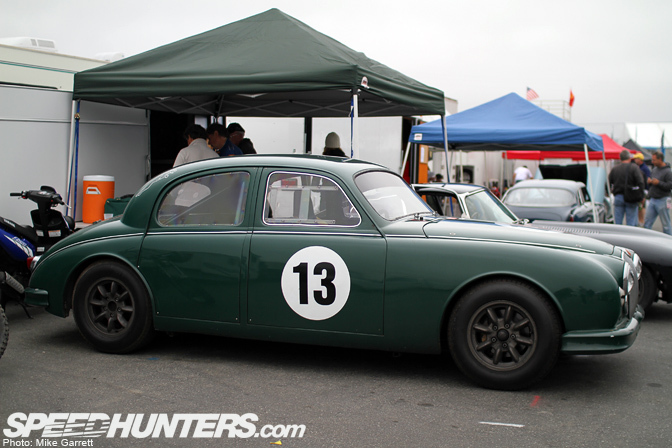 A calmer view of the Jaguar MK1 that would experience some drama the following afternoon. 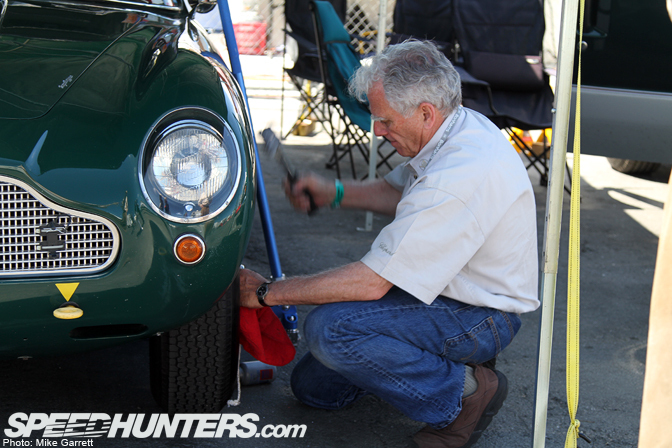 If for some reason you tired of looking over all the great vintage cars, you could find plenty to do in the vendor area. 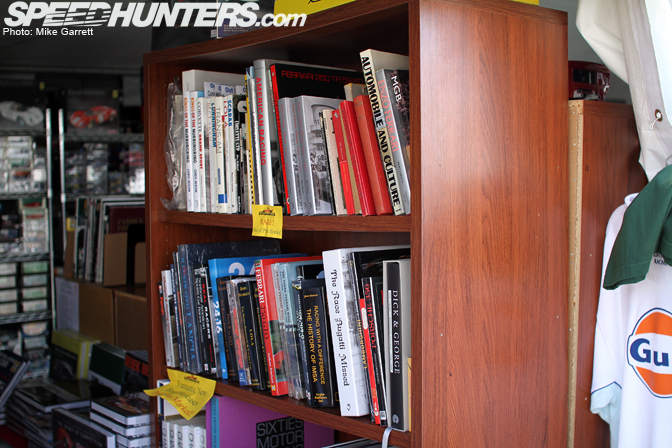 All matter of racing books, stickers, posters, and diecast models could be found here. 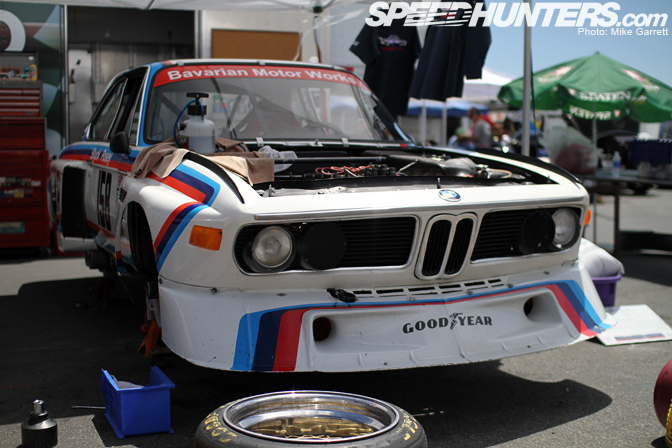 Enough to overwhelm the wallets of even the most restrained car folks. Prior to heading over to Monterey, Rod Chong gave me a heads up to check out the True Scale Miniatures booth at the event. 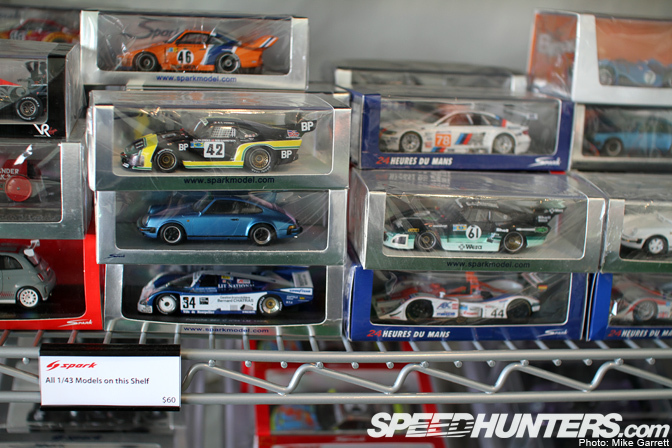 Upon walking into the True Scale tent I was overwhelmed with all the high end diecast goodness. 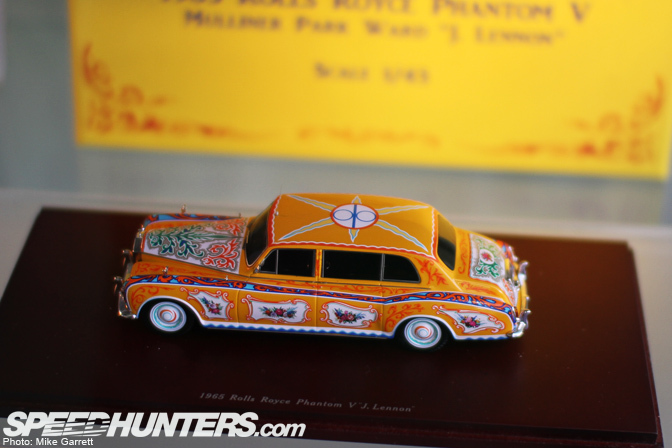 No matter what sort of cars you are into, there were incredibly detailed scale replicas of them to be found. 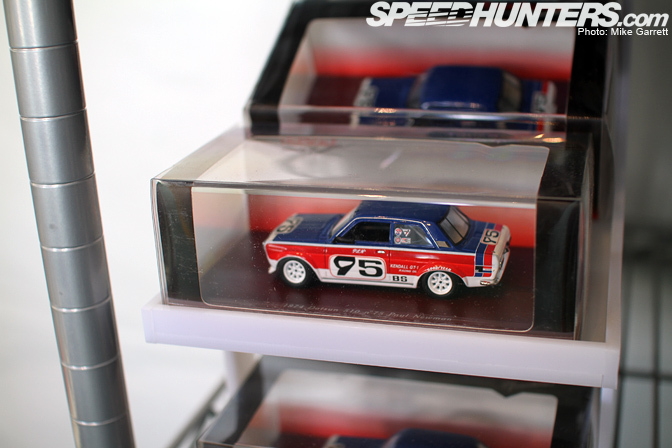 …to Paul Newman's Datsun 510. With so many fantastic models, it was hard to pick favorites. 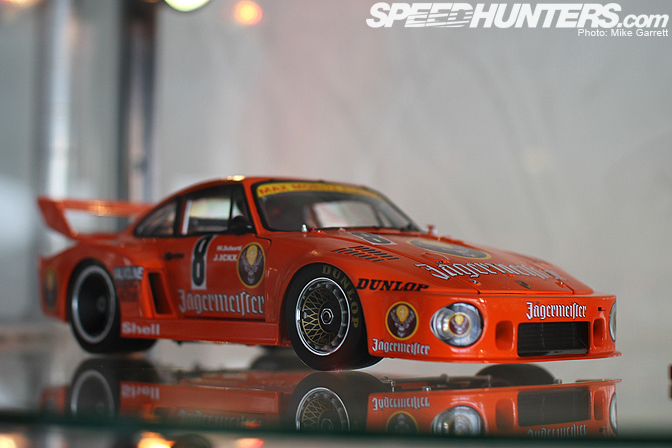 This 1:18 scale 935 is high on the list though. 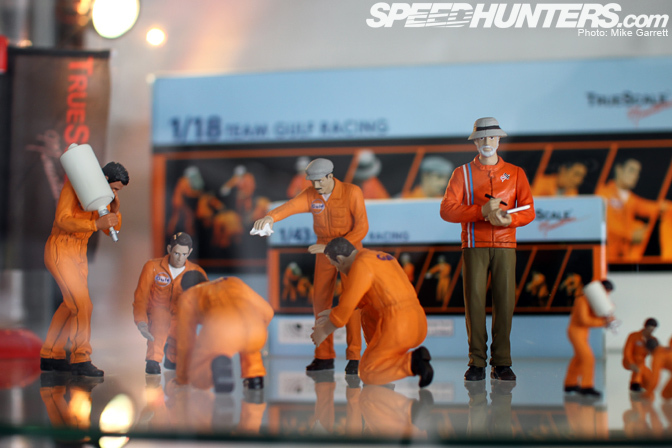 True Scale even offers full pit crews to service your diecast machines! 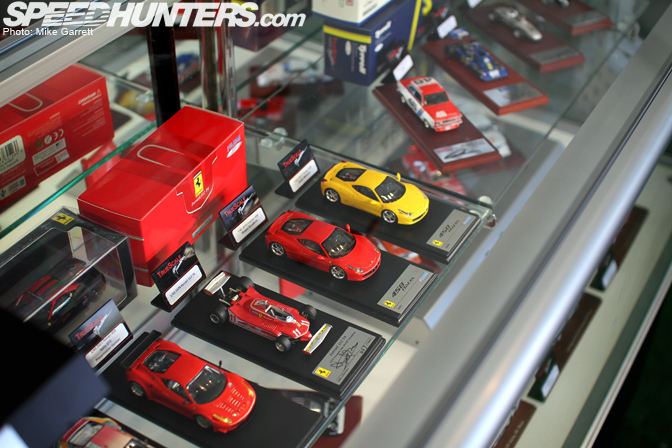 A nice selection of 1:43 scale models from Spark. 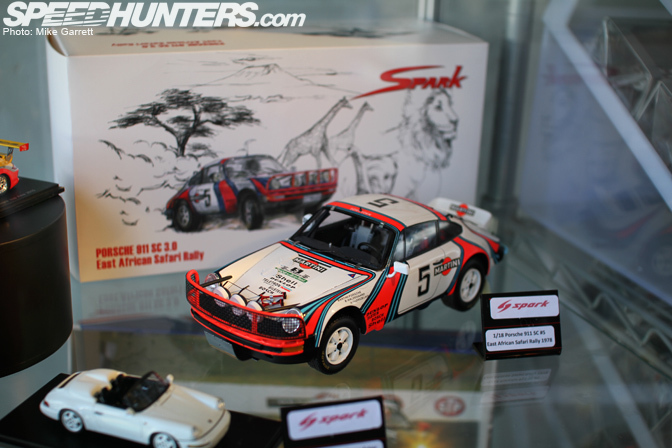 Also from Spark, this awesome 911 SC rally car. 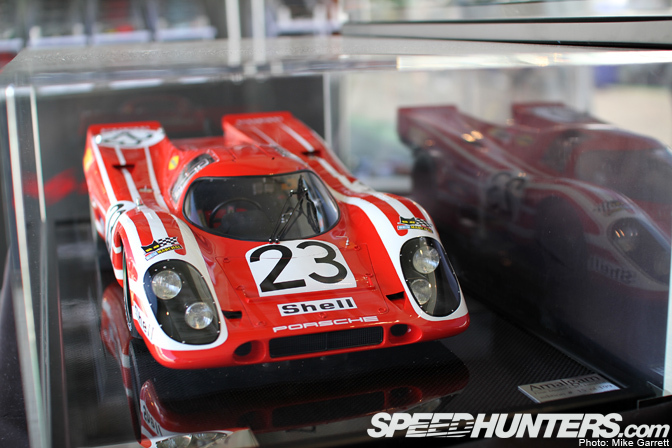 Last but not least, a jaw-dropping 1:8 scale Porsche 917 replica that costs more than my life size 240Z! 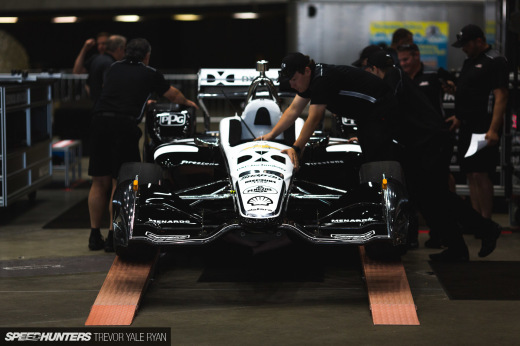 Back to the real cars. 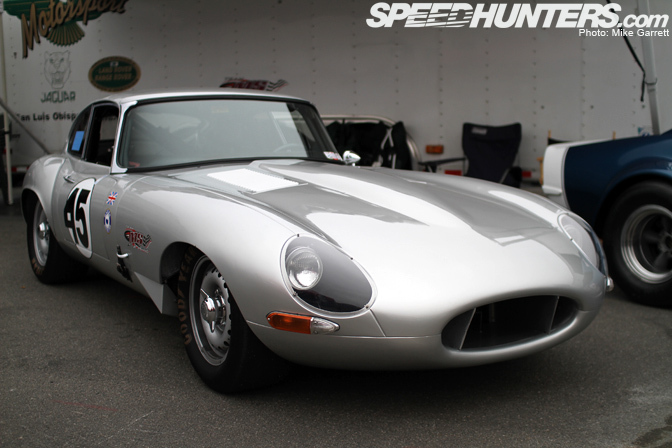 Some more E-Type beauty. 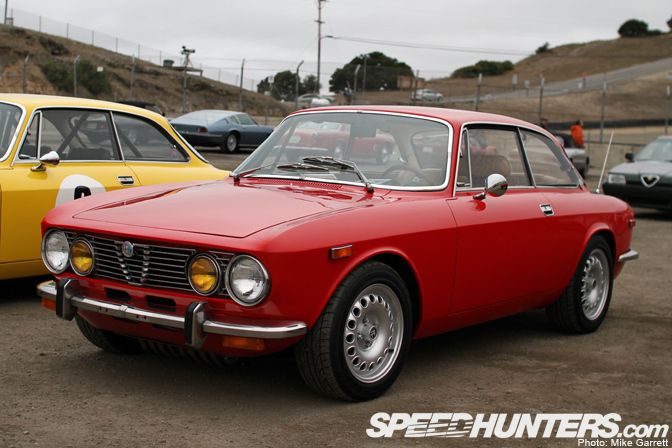 One of the many lovable machines in the Alfa section of the Car Corral. 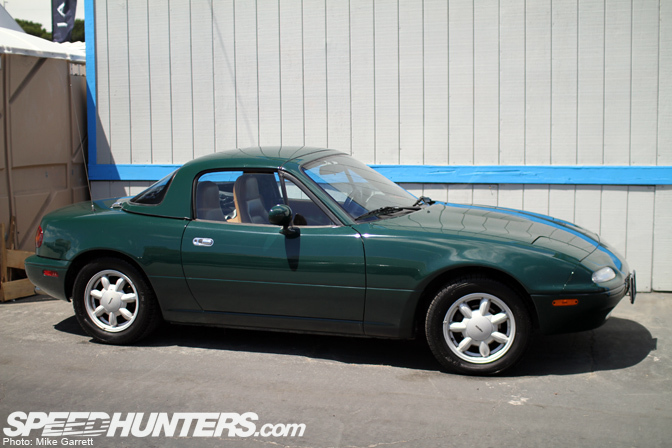 The Miata nerd in me liked this super clean '91 British Racing Green special edition. 100% stock. Yep, they call them "knock-offs" for a reason. 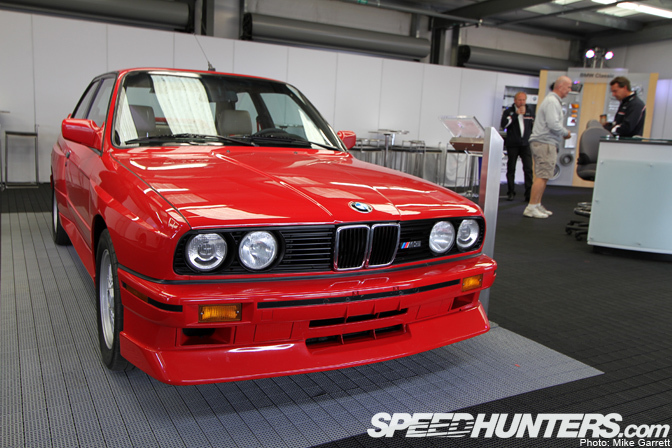 BMW's display at Laguna Seca included this showroom-fresh E30 M3. Not sure which is cooler – the Dino or the vintage RV in the background. 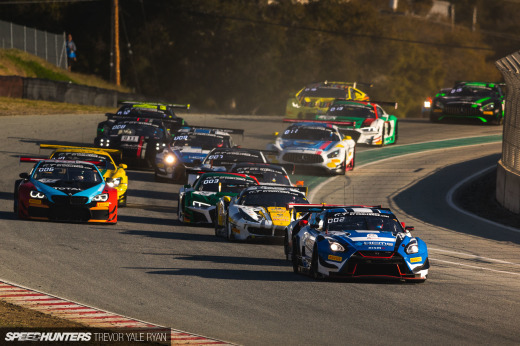 Hope you enjoyed this virtual walk around Laguna Seca. It's just like the real thing without that pesky calorie burning! Back soon with a little more from Monterey. I wldnt mind a ferrari 241942BLOCK N BRACKET As a MODEL .thankyou Come Again. 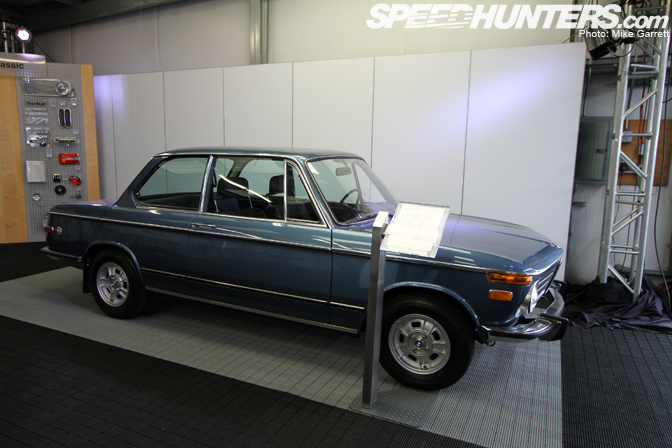 love the Datsun 'Z' chassis, still looking 'good' after all these years. its hard to find fault with an E-Type Jaguar, but then you don't really see them looking beat up or being displayed with rusty bonnets and sticker-bombed to death.. thank the Lord, this one a real beauty! - certain car manfacturers never released the rights for the design of some cars to be replicated tho' - so some die casts are quite common and easy to find, while others are practically like trying to find 'hens teeth', or the die cast itself (if there is one) is of very poor quality and the attention to detail is lacking.. i'm liking the look of all 3 of those BMW's, the M3 does looking fresh out the box - Thanks for the post - Phew! I have that 911 SC Safari. 'Tis an awesome car. 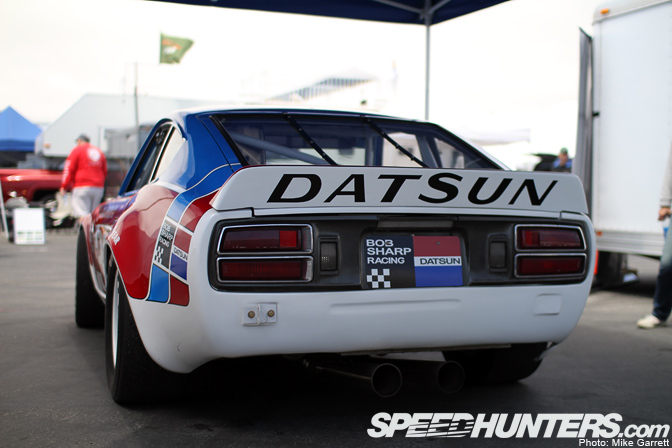 More pics of the Datsun please. That Miata can't be 100% stock... It has a hard top! 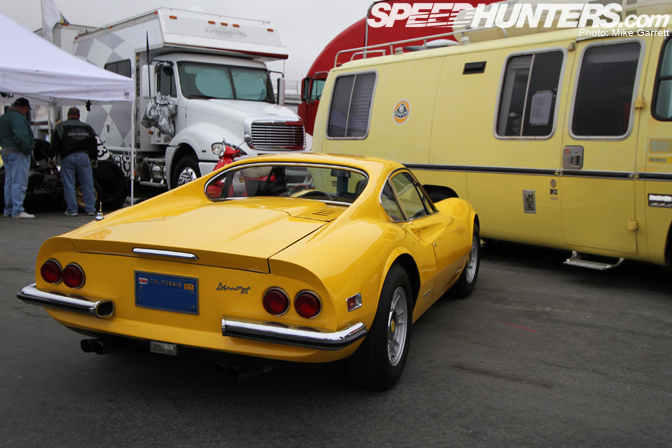 Honorable mention to the Ferrari Dino - salute! 1st pic for desktop, please! Did you take a pic of the CSL enginebay? Does anyone know what the vintage RV is? 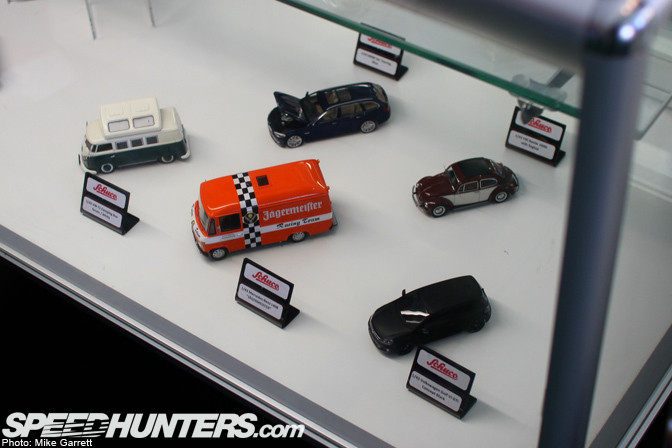 Goes to historics and we get pictures of toy cars and Miata's? The '91 Limited Edition, and a few other years of the Limited Edition came from the factory with the removable hard top. 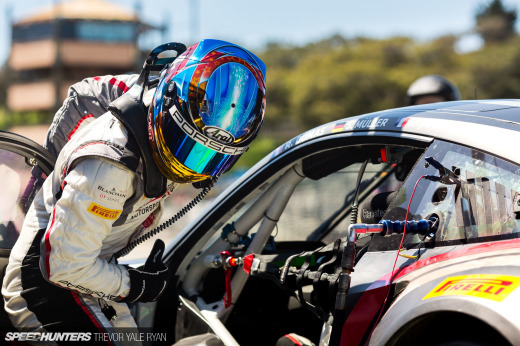 Then Mazda realized that the average buyer didn't want the hard top, and it became a factory option or dealer extra depending on the model year. I know this because I have a '91 Limited Edition Miata and it listed the hard top as standard equipment included with the Limited Edition package. You could get the miata in BRG in a hard top. I have a good friend with a 100% stock one with the factory tires. No love for the vintage? 20's 30's stuff. i know it was there.